ALMOST possible means that we may do TBJP most of the time, but we cannot bear the feeling of failure we have when don’t achieve this, so we procrastinate and put off tasks. Almost POSSIBLE means we overdo things, doing too much, doing it all alone, checking and rechecking and doing TBJP but at risk of overwork and burnout. So how do we get past this perfectionism? 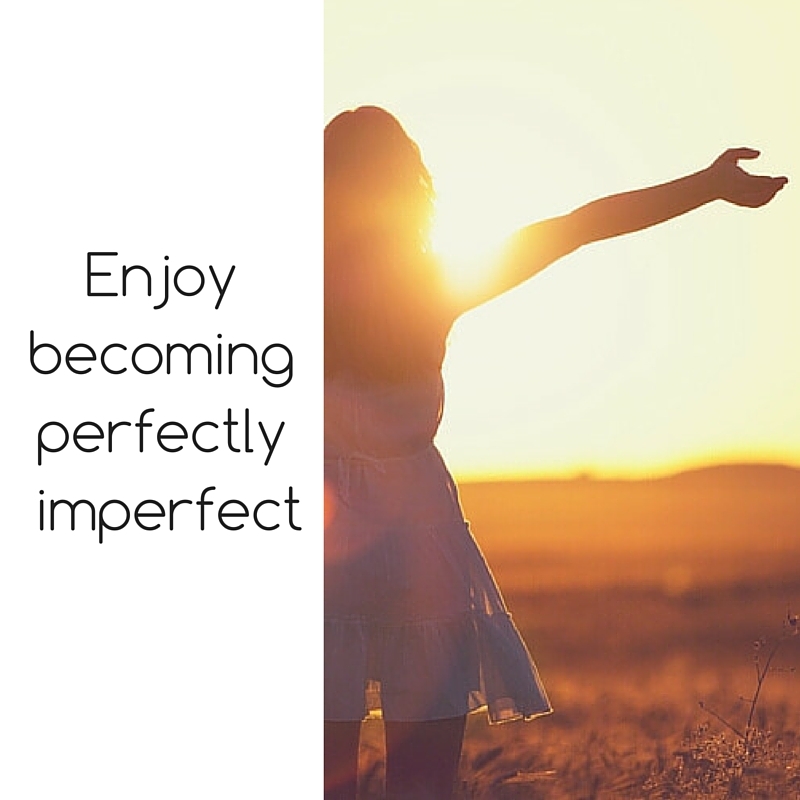 By being perfectly imperfect, by just trying and failing, by learning from our failures, by learning to ask for help, by learning to delegate, for Pete’s sake, for accepting that we cannot have it all, do it all, and be it all without just about killing ourselves. Now at this point I generally talk about a client who has this issue and how he / she overcame it at this point, but no; as you see I am talking about myself. I too am perfectly imperfect, and I do laugh at my failures, learn from them, accept my mistakes, most of the time.